POLICE are not properly trained to deal with mentally ill patients and should not be the first responders when those patients become violent or threatening towards family members. This according to Police Social and Welfare Association (PSWA) general secretary Acting ASP Anand Ramesar. In an interview with Newsday yesterday after the police killing of Colin Roopchand on Tuesday evening, Ramesar said police officers are trained to protect themselves against any impending danger. Roopchand, 26, was bipolar and had become abusive and violent toward his mother on Tuesday. Police were called in and they broke down Roopchand’s bedroom door. The officers allege he attacked them with a knife causing one of them to fire his gun. But his mother Pamela Roopchand says he was unarmed and the police did not need to shoot him. An autopsy done on Wednesday determined Roopchand died as a result of a single bullet to the heart. He said the responsibility usually falls on them when other agencies fail to respond. He said the police need to be relieved of that responsibility completely. 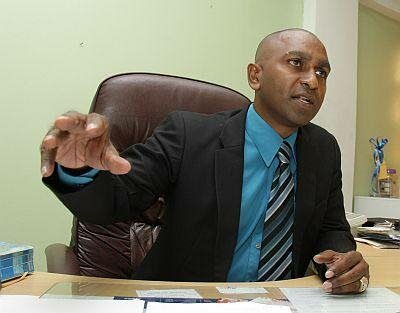 Corporate communications manager at the TT Police Service, Ellen Lewis, said on Wednesday that Supt Yussuf Gaffar has been appointed to investigate the matter with oversight by the Professional Standards Bureau. The policeman who shot Roopchand will remain on active duty while the investigation is ongoing. Reply to "DON’T CALL US"